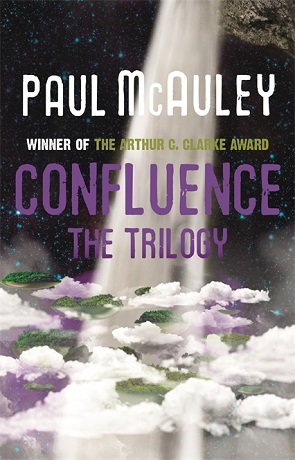 I just finished reading Paul McAuley’s Confluence trilogy and now I’m extremely annoyed. The reason? Very, very close to the end of this 900-page novel it turns into a time-travel story, and I really, really hate time-travel stories. If I know in advance that a story contains time travel I won’t read it, and if in the process of reading a story I see time travel emerging, I typically stop reading. Thus my extreme annoyance with Confluence, in which I had invested a lot of time and attention before McAuley sprang the nastiness on me. Maybe it’s time to figure out why I have this reaction. Let’s start with something comparatively minor: once a writer introduces the possibility of time travel into a story, there are no natural limits to its deployment. A point my son Wesley has made in our decade-long conversation about the Harry Potter books: Once we learn (in Prisoner of Azkaban) that the Ministry of Magic owns at least one Time-Turner, and is even willing to lend it to ambitious 13-year-olds, then where is it when it’s needed for really important stuff like, you know, fighting Voldemort? And yet it never appears again. This is a significant offense against the Elementary Rules of Fictional World-Building. Almost all stories, written or performed, play with time to some degree. We notice when they don’t: for instance, when Shakespeare goes far, far out of his way to make The Tempest unfold in “real time.” (Characters comment on the passage of time to ensure we don’t miss it.) One chapter of a novel concludes with the beginning of a journey, and the next with arrival at the destination. In 50 pages we go from a character’s birth to his adulthood, and then spend the next 500 covering a few weeks. No one is surprised or troubled by any of this, since, if we couldn’t expand and contract time at will, we couldn’t tell stories — we’d all be Funes the Memorious. When stories introduce fantastic forms of travel through space, like teleportation or the Floo Network, they’re just off-loading to technology (magic being a kind of technology) the responsibility for skipping narratively insignificant tracts of time that storytellers otherwise handle with the kinds of structural adjustments I mentioned in the previous paragraph. Time travel is something wholly different, because time travel undoes both cause and consequence. What is more fundamental to storytelling (and of course to life itself) than narrating and reflecting on the repercussions of events? In a very serious and very important sense tracing the effects of causes is what storytelling is. And yet with time travel every repercussion can be removed by removing or adjusting the cause that produced it. Time travel is therefore the abrogation of story itself. And since I read novels because I like stories, as soon as time travel arrives in a novel, I depart. P.S. Confluence was great until McAuley sprang the Bad Thing on me. It strikes me that a lot of the best time-travel stories end up being about the things that you *can't* change with time travel, or the additional problems you cause using it. Obviously if used like a Deus Ex Machina consequence-wiper time travel is bad, but that isn't anywhere close to the only way to use it in a story. Not sure if my comment got posted - if so sorry for the repeat. It strikes me that the best time-travel stories (Pastwatch: The Redemption of Christopher Columbus for example, or some Doctor Who and Star Trek episodes) are often about the things that can't be changed by it, or the additional problems that come about from its use. In other cases (Madeleine L'Engle's A Wrinkle In Time books) it's a strictly limited way of going somewhen - a temporal Floo Network. Obviously if used as a Deus Ex Machina consequence-wiping reset button it's bad - but that's surely not the only way to use it. Normally I agree with you. When I see blurbs and reviews of highly touted speculative novels I more or less stop reading when I run across a mention of time travel. I have twice tried to start Doomsday Book by Connie Willis because it seems like every other aspect of it is right up my alley and still - I. Just. Can't. However I have recently started reading Arcadia by Ian Pears. I'm only 31% of the way through (thank you for uselessly precise data Kindle! ), but thus far it's been stellar. I'm loving it. I never would have picked it up but Pears' Instance of the Fingerpost is one of the most enjoyable books I've ever read and his Stone's Fall was quite good. Exactly this. Also, any time travel story worth its salt introduces natural limits to the technology. In the film 12 Monkeys, for example, time travel can never be used to change the past, but merely to observe it. You might be the wrong person to recommend this book too, but I really enjoyed David Wittenberg's Time Travel: The Popular Philosophy of Narrative. 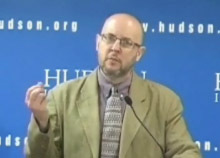 http://fordhampress.com/index.php/time-trave-paperback.html Wittenberg sees the connection you make between "time travel" and the twisting of time into narrative that all fiction does, and argues that that is the point: time travel fiction has nothing to do with the physics or time or the flow of history, it is a laboratory for questions to do with narrative. He also provides a neat history of how time travel fiction grew out of late 19th C utopian novels (a la Looking Backward) and their increasingly elaborate justifications of how to get modern day protagonists into the far future. It might not change your mind about time travel, but it's a good, smart read. Thanks for the helpful responses, people! Echoing the responses above about what makes for a good time travel story, I'd highly recommend - if you haven't seen it - Shane Carruth's film Primer, for my money the best, most consistent time travel story I know. It's heavily invested in both the physical and ethical problems posed by time travel. Plus, it's a true indie success story, made for about $7,000 (Carruth wrote, directed, starred in, and even wrote the music for it). Well worth your time.